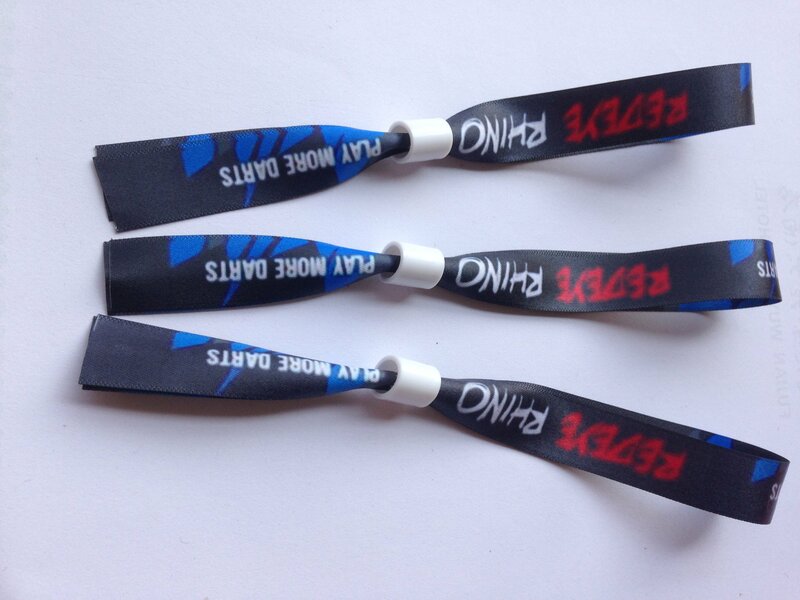 Fabric wristbands are highly secure and commonly used for festivals or large outdoor events. Fabric wristbands konwn as event security wristband for one time use . The Custom Fabric Wristband is useful and helpful for concert,community,event , forum and meetings . Once wearing on at the entrance of the event it could not be taken off easily unless cutting it off . How To Use A Fabric Wristbands For Event Security ? 3) Logo can be with golden or silvery thread. 4) Artwork or logo must be vector format in cdr, ai. eps or pdf file. Customized PMS colors buckles/sliders are available! concert, open air festival, summer break, winter break, etc.